Part of the philosophy behind cryptocurrencies and blockchain is that there is no need for a regulated third-party or central authority. While this is true in some cases, there is also some form of regulation necessary if crypto enthusiasts want these assets to break into the mainstream. However, what’s a little less known is that the crypto industry is more regulated than we may have thought. That’s right. 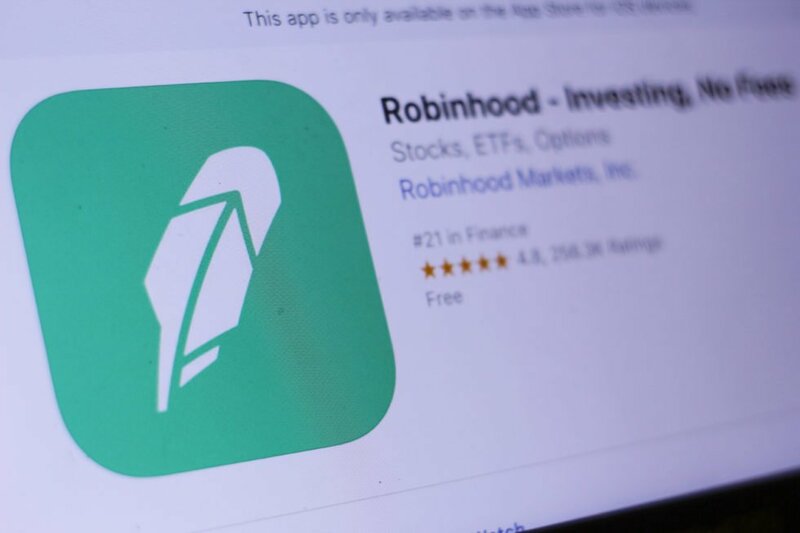 According to a report from Bitwise Asset Management, “the real market for Bitcoin (BTC) is significantly smaller, more orderly, and more regulated than is commonly understood,” and then goes into backing up this claim. To start, Bitwise remarks on Bitcoin’s next-to-nothing storage fees, low transaction fees, and global reach. Because of this, one would think that the industry is “uniquely orderly and efficient,” no? However, public belief is of the opposite. 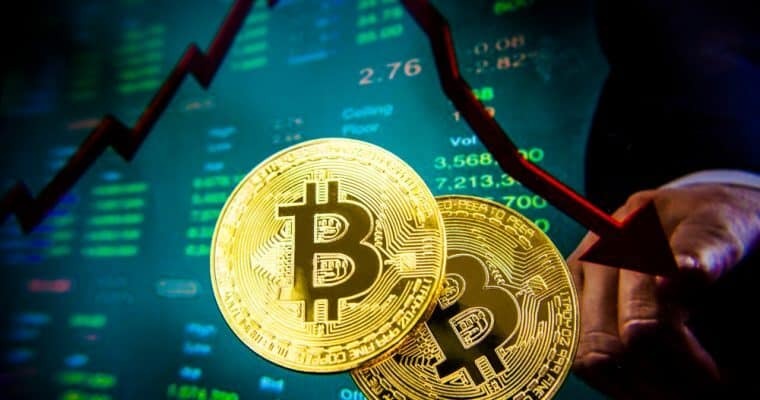 Due to factors such as Bitcoin’s ranging price on different exchanges, the public thinks the crypto industry is quite hectic and void of efficiency. It pulls this number from studying 81 different exchanges. Here, Bitwise finds that most exchanges artificially inflate their volume to appear higher on trading lists. This way, these spaces are more likely to be quoted by media, which will drive traffic and sales. The U.S. trades more than the world may think. Bitcoin’s reported trade volume on coinmarketcap is $6 billion. In actuality, its trade volume is $273 million. However, this isn’t necessarily a bad thing. If the $6 billion number was real, this would mean that 8.6% of Bitcoin was being traded every day. 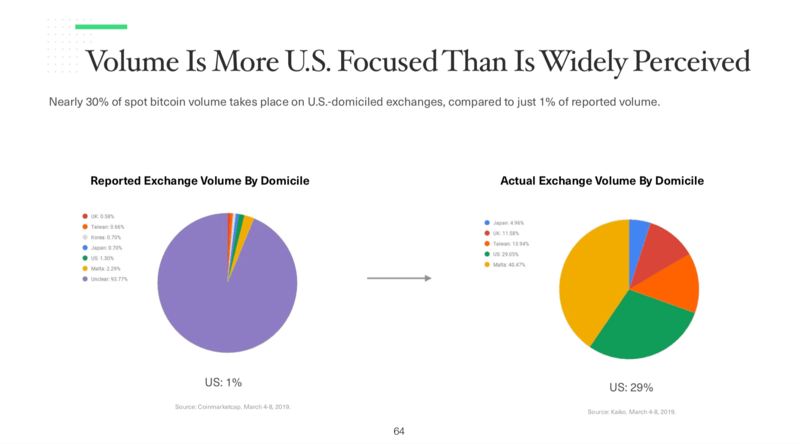 Additionally, the report notes that around 30% of Bitcoin trades take place within the United States. This number is vastly different than the reported volume, which is only 1.30% in the U.S. In the world of crypto, misleading moments such as market manipulation and artificial inflation should come as no surprise. Since the reveal of Bitcoin back in 2009, there has been story after story regarding scams and lies within the industry. It’s good to have studies such as these to help keep industry players in check.